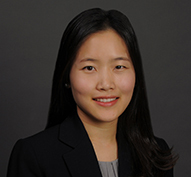 Soolean Choy is an associate in the San Francisco office of Gibson, Dunn & Crutcher. She currently practices in the firm’s Litigation Group. Ms. Choy received her J.D. from Columbia Law School in 2017, where she served as a Notes and Submissions Editor for the Columbia Human Rights Law Review and Co-Chair of the Asian Pacific American Law Students Association. While in law school, she was a law extern in the U.S. Attorney’s Office in the Northern District of California and in the Eastern District of New York. Ms. Choy earned her B.S. in Industrial and Labor Relations from Cornell University in 2012. Prior to law school, Ms. Choy was an Associate in the New York office of PricewaterhouseCoopers LLP. Ms. Choy is currently admitted to practice law in the State of California.